Iris Mittenaere has become an ambassador for Guinot Paris, the leading French skin care line and beauty company, which offers full service treatments and professional expertise for the beauty in dustry. Mittenaere has long valued healthy skin care and with a busy schedule as Miss Universe, Guinot makes it easy for her to maintain a well-balanced beauty regimen. 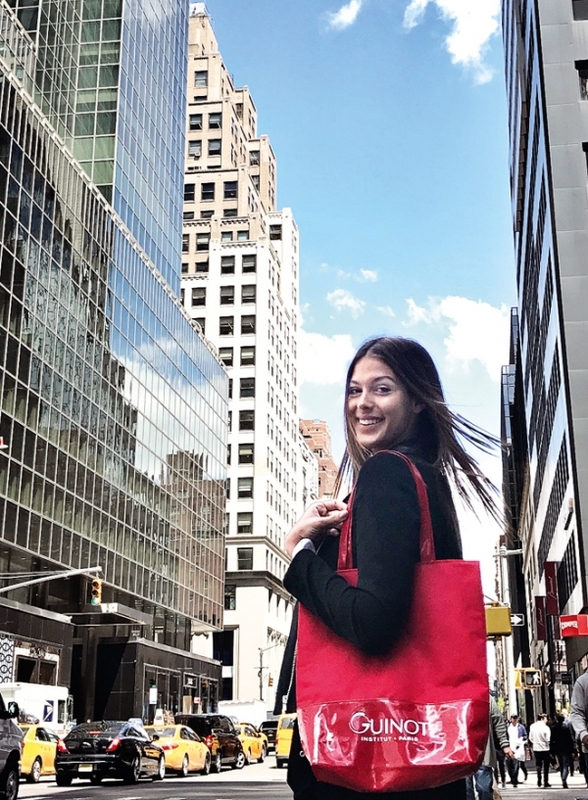 During a recent Guinot Hydradermie facial at Stephen Knoll Salon in New York, she said, “I travel a lot and value good skin care products. As a Guinot ambassador, I have been able to learn more about my skin type and which Guinot products and treatments are best for me. I look forward to sharing the Guinot experience with others.” Keeping its roots in the spas where its professional treatments began, Guinot is recognized as a leading skin care collection with results-driven products and treatments available exclusively at prestigious spas worldwide. 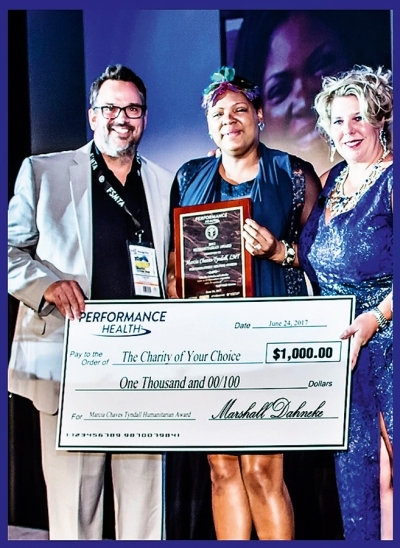 Performance Health Marcia Chaves Tyndall, L.M.T. was presented with the Performance Health FSMTA Humanitarian Award at Florida State Massage Therapy Association’s (FSMTA) Convention and Trade Show. Performance Health, the manufacturer and marketer of Bon Vital®, Biofreeze®, Prossage®, TheraBand™, Cramer® and Thera°Pearl®health and wellness products, honor individuals annually in the massage therapy industry for their efforts in improving the welfare of their clients and demonstrating selfless devotion to others. This is the 15th year Performance Health and the FSMTA have presented the award. “We are once again honored and proud for the opportunity to partner with the FSMTA to honor someone who passionately gives back so much to others,” stated Craig Hall, director of sales and marketing, with Performance Health. Eminence Organic Skin Care’s blog was recognized as one of the 2017 Best Organic Beauty Blogs by Healthline. Carefully selected by Healthline editors, their blog has been recognized as one of the most up-to-date, informative, and inspiring blogs that aim to uplift their readers through education and personal stories. On the Éminence Organics blog readers can find insider tips on how to use their products, insight on new product launches, and which products their celebrity fans are currently raving about. In addition to seeing what they are doing in the community with their philanthropic initiatives, Éminence provides easy steps to create a healthy and green lifestyle from upcycling old jars to healthy recipes that anyone’s skin will love. Bio-Therapeutic is pleased to announce the details of the 2017-2018 Bio-Therapeutic Face of the Future Awards. Bio-Therapeutic wants professionals to show off their skills with their best before and after photos using Bio-Therapeutic equipment and products. These awards are about championing hard working skin care professionals who dedicate their time to making a difference in clients’ lives. Amazing prizes, worldwide recognition, and the opportunity to perfect facial techniques, making a difference in a client's lives and comfortable by helping them achieve their best possible skin health is the optimal goal. gloProfessional rebrands to Glo Skin Beauty, highlighting integrated skincare and makeup system gloProfessional, known for its formulations and products, has rebranded to become Glo Skin Beauty in an effort to take a more unified approach to skincare and makeup. According to representatives from the company, Glo Skin Beauty products have undergone extensive research and testing, aiming for synergy in skin care. CIDESCO, a world-renowned name in beauty and spa therapy, is inviting its schools, members and the general public to join in the celebrations for CIDESCO’s International Beauty Day on September 9, 2017. The day, which was started by CIDESCO Section Russia, will celebrate inner and outer beauty around the world, and raise awareness about the importance of the beauty industry as a whole. Bioelements Professional Skin Care is heartbroken to announce the passing of its founder and owner, industry leader Barbara Salomone, after an ongoing illness. 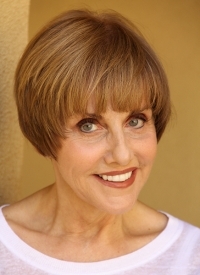 Salomone passed away peacefully in her California home, with her husband Ross at her side. "There are no words to express our sadness,” said Salomone’s brother and CEO of the company, Bob Schatz. “Barbara treated all employees like family – many of whom have been a part of Bioelements for decades, and we are truly heartbroken," said Salomone's brother and Bioelements CEO Bob Schatz. “She laid the groundwork for what this company is today, and helped build an ever-expanding team of experts that share her pioneering spirit, her passion for advanced education, and devotion to product and ingredient innovation above all else." One of the industry’s outstanding innovators in the world of holistic skin therapies, Anne C. Willis, is proud to announce the launch of De La Terre Skincare’s state-of-the-art showroom and Training Center located in Asheville, North Carolina. The expansion for the company is a direct response to the exponential growth experienced in the health and wellness market, and is a testament to De La Terre Skincare’s commitment to health oriented skin care formulas and applications that support one’s overall well-being. 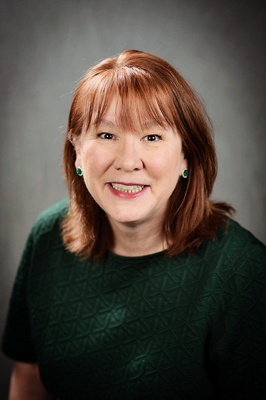 Helix BioMedix, Inc., a biopharmaceutical company specializing in peptides, recently announced the promotion of Robin L. Carmichael to the position of chief executive officer in addition to her current role as president. She will continue as a member of the company’s Board of Directors. Carmichael will be responsible for all aspects of management of Helix BioMedix including profits and losses, operations, sales, marketing, business development, pharmaceutical and consumer product programs, and research and development. She will report directly to the Board of Directors. Carmichael joined the company in 2007 as vice president of marketing and business development. She was promoted to chief operating officer in 2011, and later to president and chief operating officer in 2015. Spa Nalai at Park Hyatt New York is home to the latest luxury treatment collection – CelleClé Skincare. The company is thrilled to announce that Spa Nalai at Park Hyatt New York has become the latest CelleClé Skincare spa partner! Nalai, meaning serenity, provides a uniquely tailored spa experience. Located inside Park Hyatt New York, Spa Nalai features the finest amenities for optimal wellness and relaxation. Take in the views of the city skyline from their separate men and women’s locker rooms. As crowds rush by on the streets of Midtown Manhattan below, clients can take a moment to unwind from everyday stresses in the indoor hydrotherapy area featuring a lap pool, whirlpool, and co-ed eucalyptus steam room before heading to a spa suite for a CelleClé Skincare facial experience. The visionary individuals at ECHO2Plus are proud to present our newly updated website. With a fresh and clean new look, echo2plus.com now features updated information, explanatory videos and a helpful FAQ section which can help both novice and seasoned aestheticians become more knowledgeable about using ECHO2Plus products. More knowledge equals increased profitability for spas! The Starter Pack page now features in depth descriptions and photographs of the products included in the ECHO2Plus opening order. The company is very proud of the astounding results photographs in the section highlighting the Oxyceuticals Oxygen Acne Treatment. Featuring the multiple awards that ECHO2Plus won in 2017, the links section also contains print articles and testimonials from ECHO2Plus users who are overjoyed with the results they achieved in their spas. The Association of Holistic Skin Care Practitioners (AHSCP) holds its 10th Annual Holistic Skin Care Conference at the Crowne Plaza Chicago O’Hare Hotel on November 5-6, 2017. The AHSCP offers the latest research on natural ingredients, demonstrations of European and Eastern methods for individualized skin care protocols, holistic skin care certification, and continuing education for aestheticians. AHSCP believes that a natural approach to skin care is an effective long-term solution for healthy, beautiful skin. This includes the use of products with food grade quality ingredients and non-invasive methods for corrective, anti-aging, and anti-inflammatory skin care treatments.